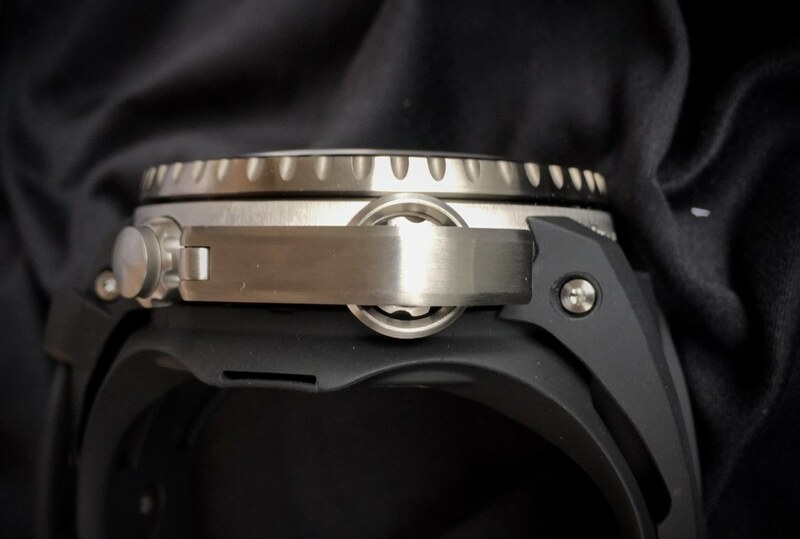 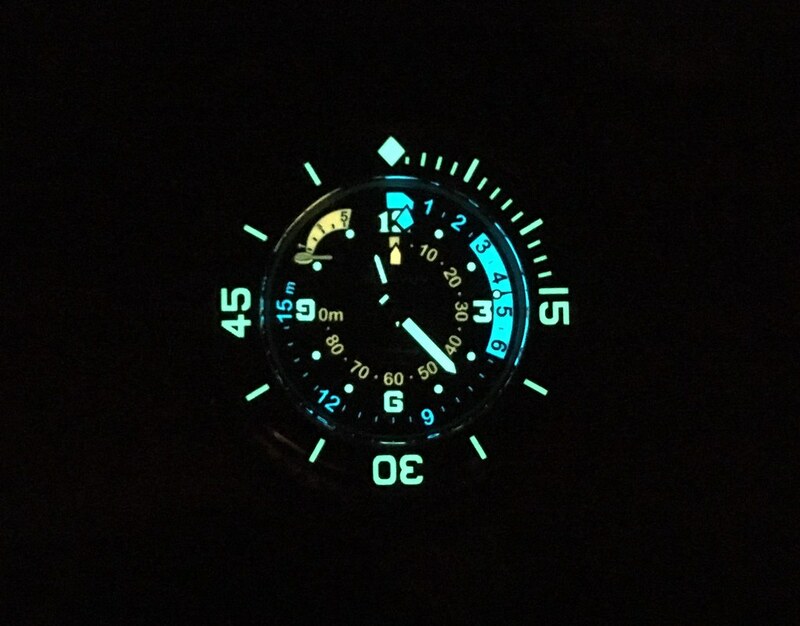 As you can see from those mediocre lume shots, all indications are easily visible, which is a minimum requirement for a professional dive watch. 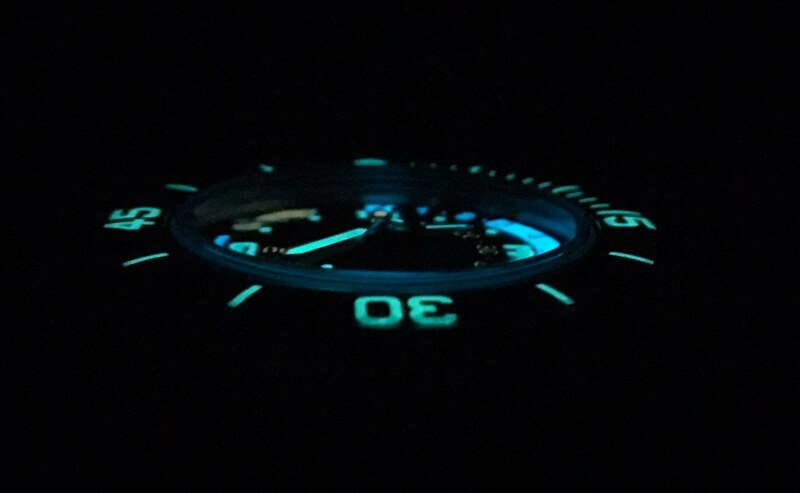 And the intensity of the lume is insane! 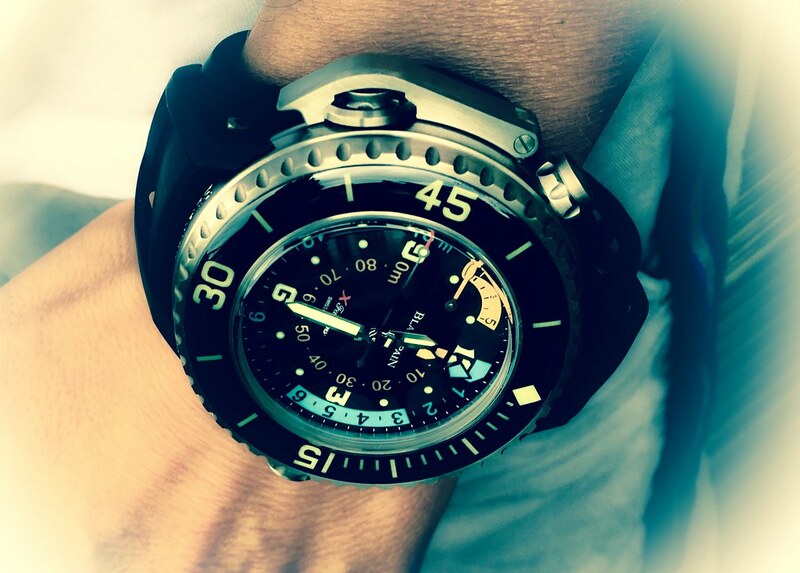 Finally, let me add some of those shots which - I hope - are revealing the sensual side of this amazing timepiece. 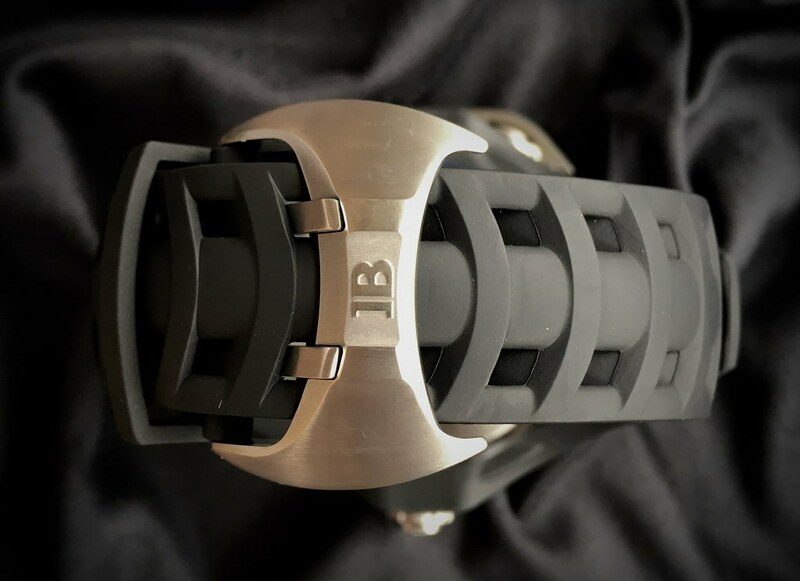 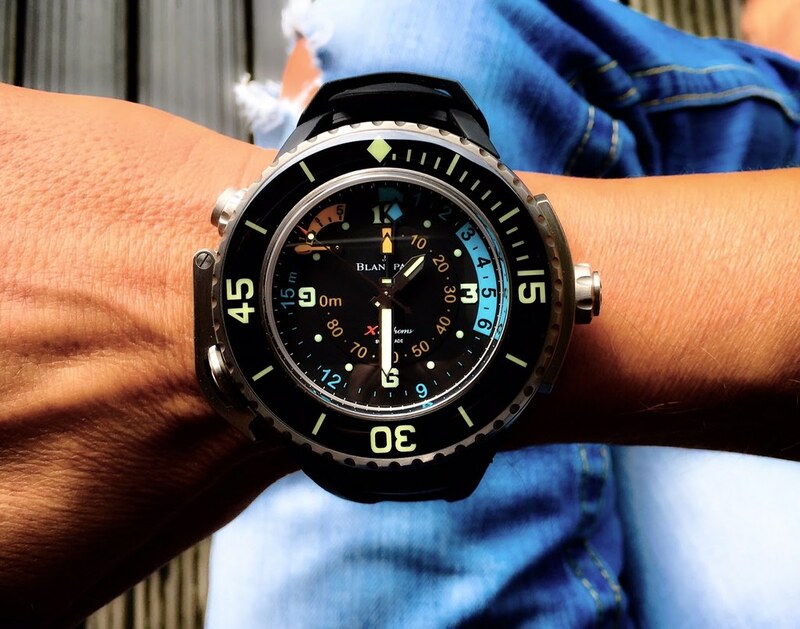 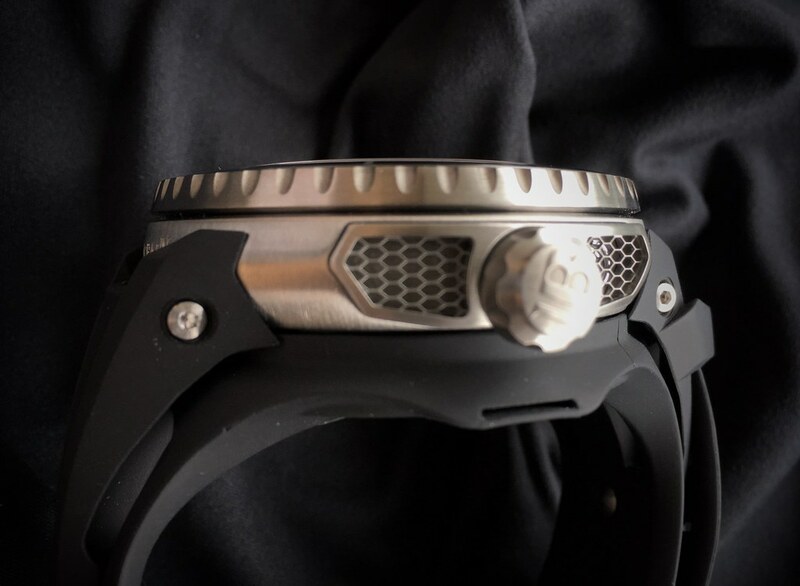 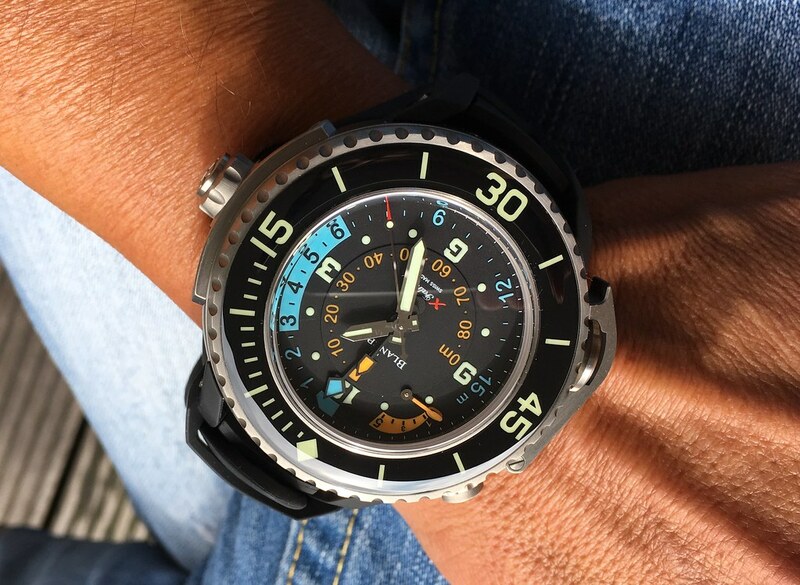 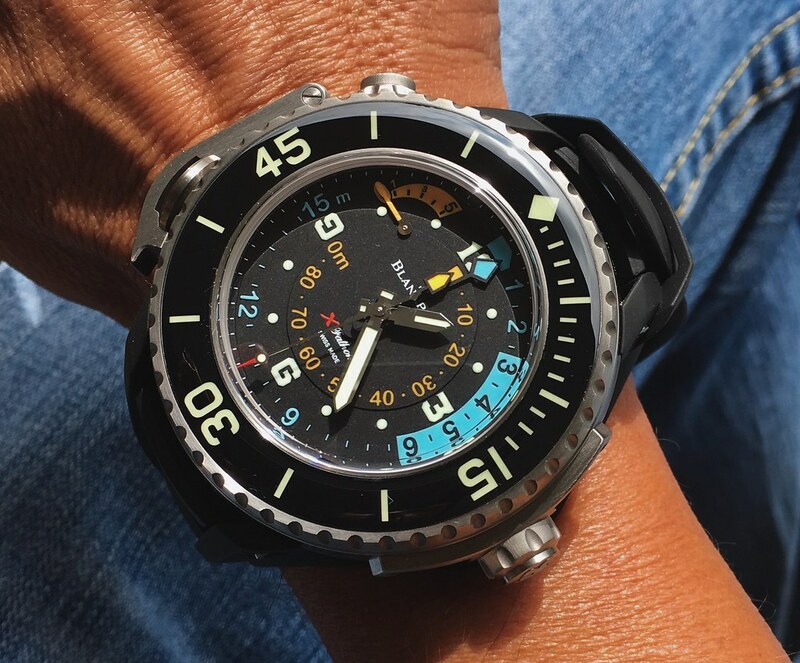 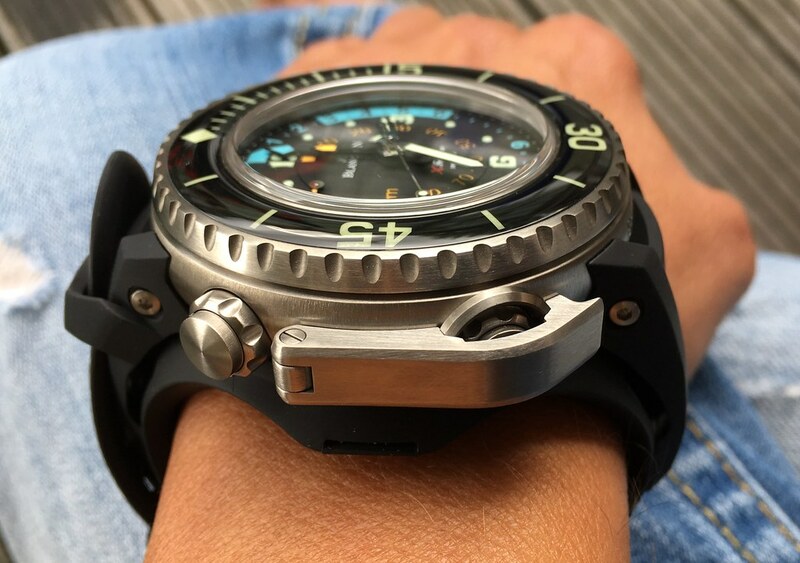 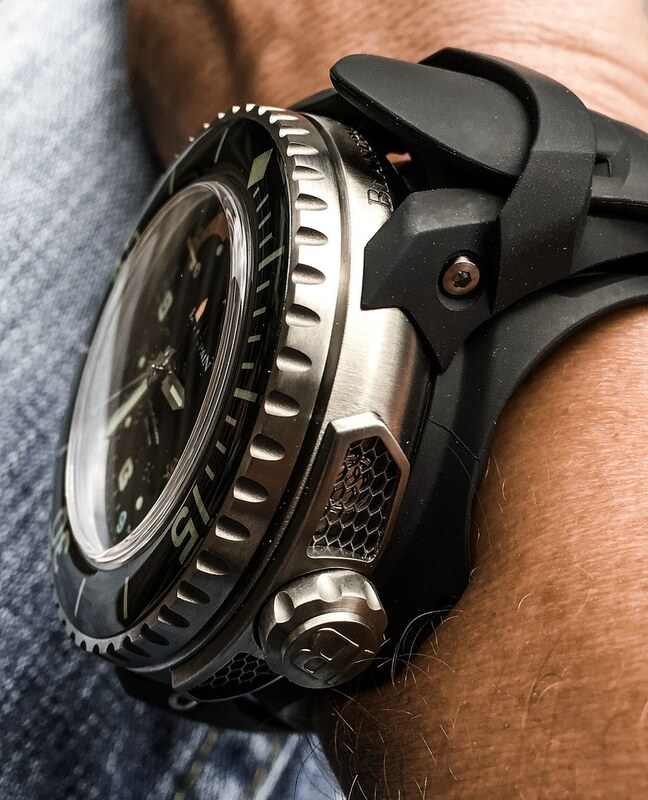 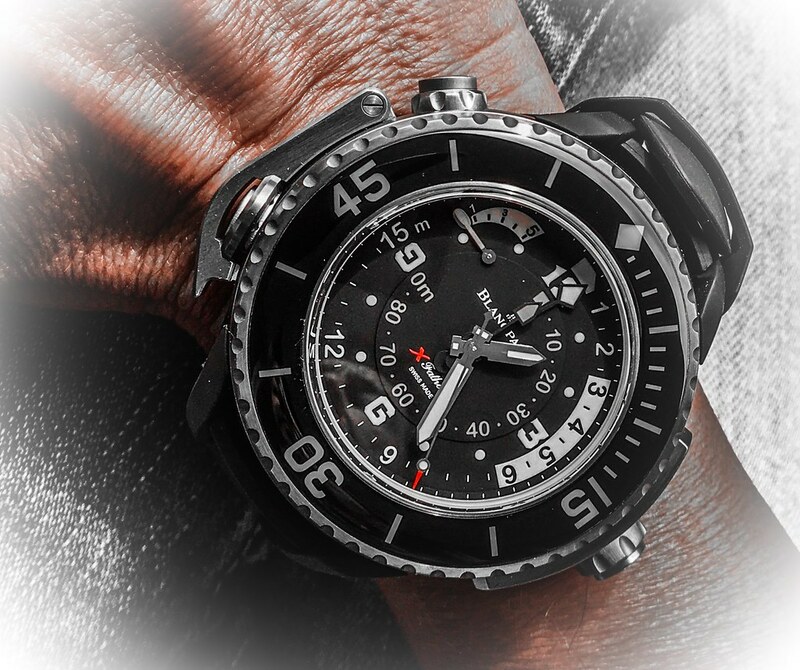 It is not a watch you can really wear outdoors other than for it's original pupose, using it as a dive intrument. 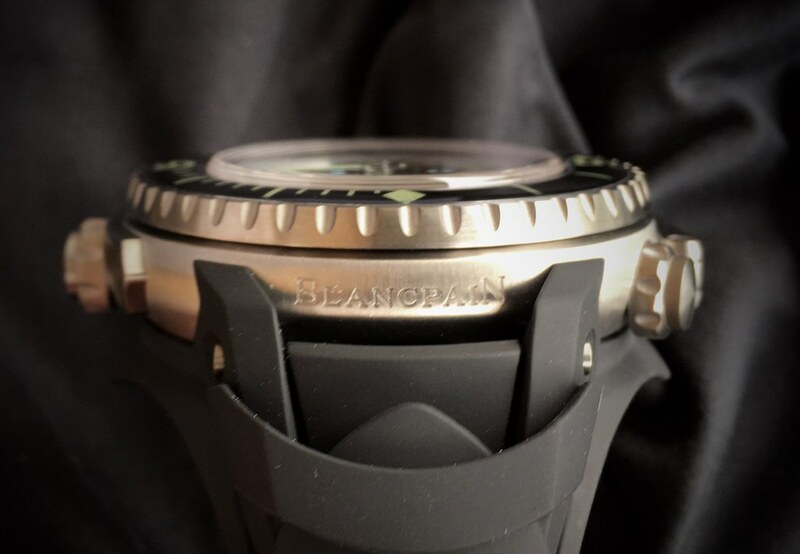 And it is very very large. 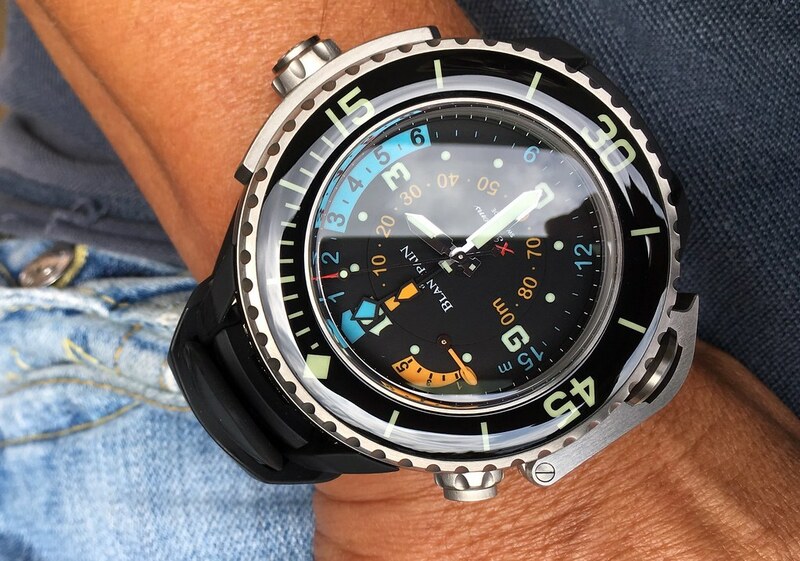 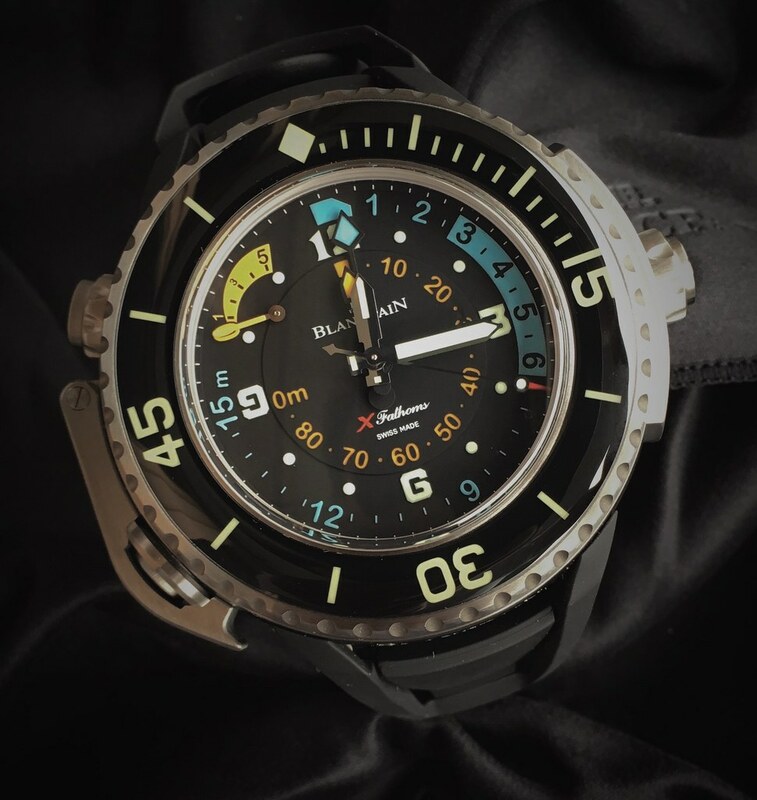 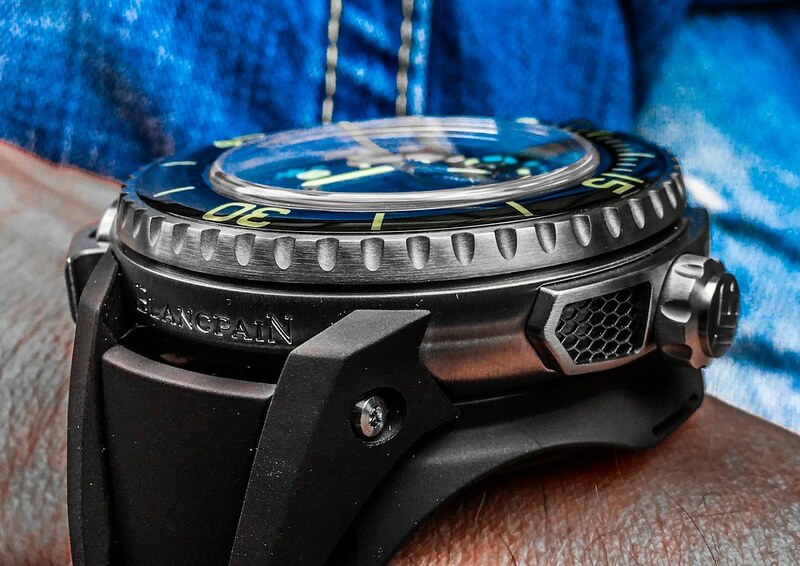 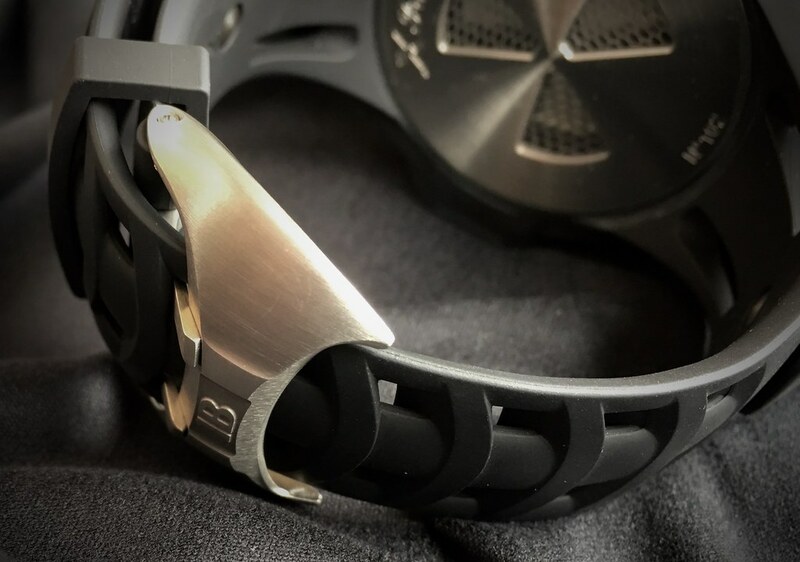 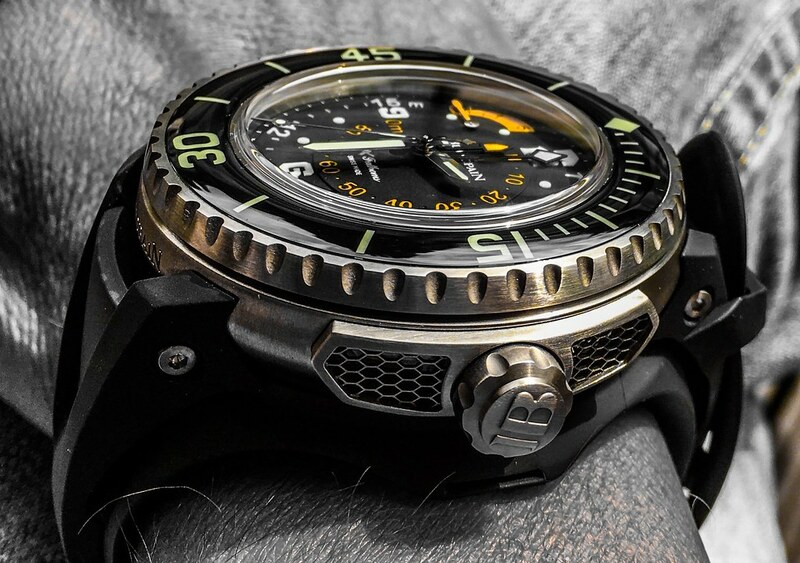 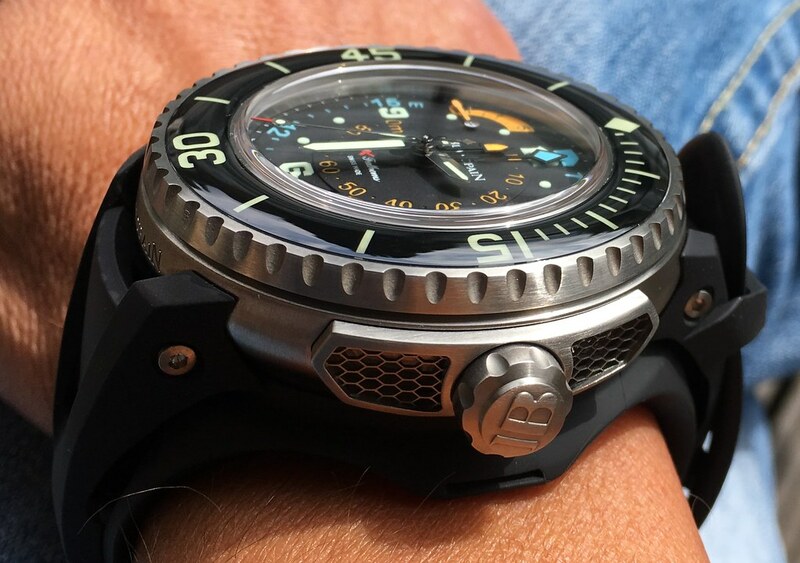 Blancpain has done an exceptional job in creating a watch that gets as close to the essence of diving as the original Fifty Fathoms did in 1953. 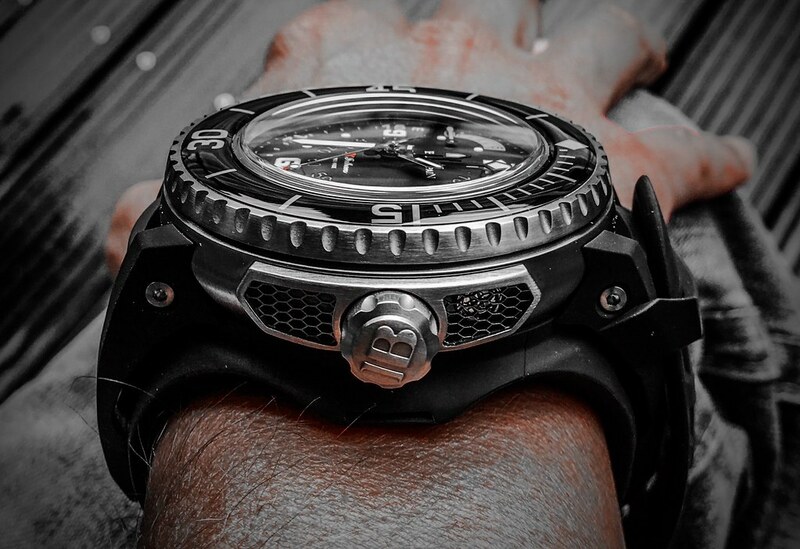 A true masterpiece! 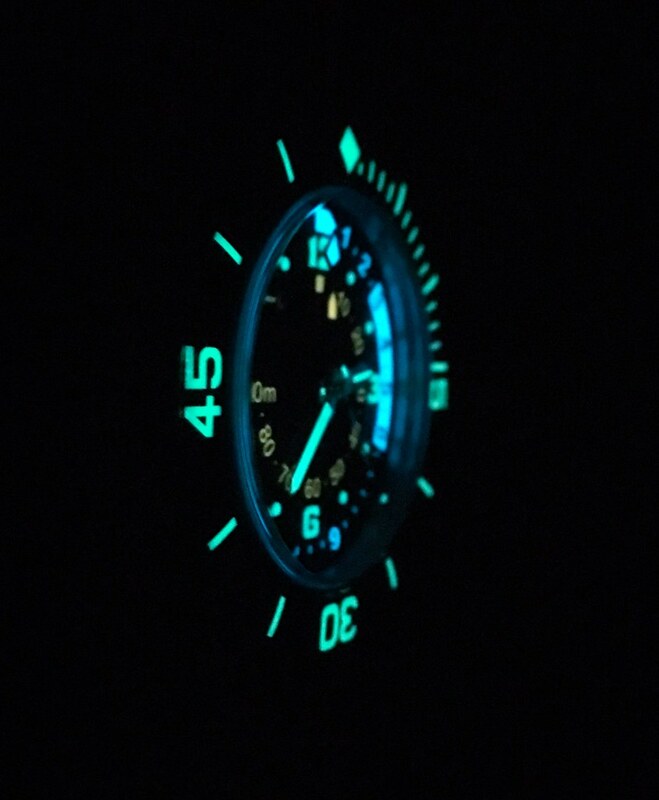 I'll leave you with a few colour-realistic wristshots, hope you enjoyed the photo journey!